The Moto G7 will come with a waterdrop display notch while the budget smartphone series will have another variant apart from the 'Plus' and 'Play'. For the unknown, the Moto G6 Play was the first smartphone in the G-series to get the 'Play' tag and after announcing the Motorola One Power, the Moto G7 is also expected to get the 'Power' suffix next year. This means that the Moto G7 Power is expected to come with larger battery backup in comparison to other variants in the Moto G7 series. The Moto G7 is highlight likely to have a waterdrop display notch which will offer more screen-to-body ratio. 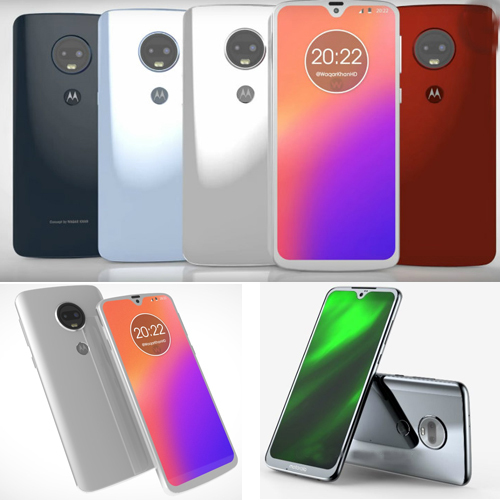 At the rear panel, there will be a dual rear camera set up along with a fingerprint scanner embedded in Motorola branding.